When it comes to corporate gift giving at the holidays, it’s better to be a Santa than a Scrooge. 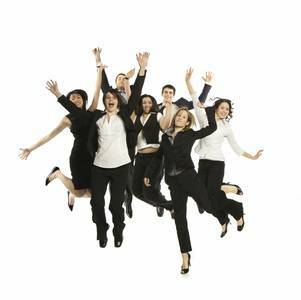 A new survey from Staples Promotional Products shows that giving employees holiday gifts improves motivation and, in some cases, enhances productivity. The survey, released Wednesday, revealed that 75% of employees indicated that receiving a gift improved their morale, while 60% said the gesture encouraged them to like their company more. About 33% of respondents said a gift provided impetus for increased productivity. Additionally, one in three people said gifts from a business partner increased the chances they would do business with that person’s company in the future, the survey found. About 60% of respondents said they kept their gifts for more than six months, helping to keep the gift-giver top of mind. “”Holiday gifts that are thoughtful and personalized can go a long way toward deepening business relationships and reminding employees you value their work,” says Barbara Wells, senior vice president of Staples Promotional Products. Staples says the key to successful gift giving lies in mapping out what you plan to get well in advance, putting a personal touch on whatever you give and, to keep costs down, ordering items in bulk. Food gifts (cheesecake samplers, gourmet cheeses), electronics (MP3 players, USB drives and tablets) and apparel (winter hats, scarves, gloves, fleeces and grill aprons) are popular holiday gift items, according to Staples. 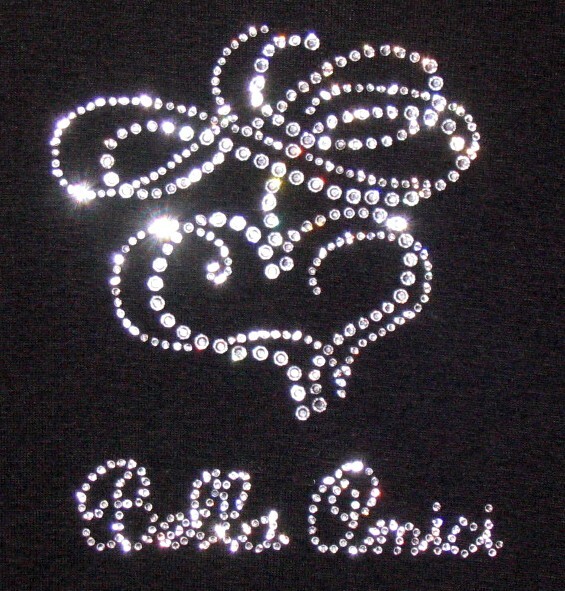 Sparkle Plenty Designs (ASI/88442) An ASI 5-STAR Decorator/Supplier) specializes in creating custom Swarovski crystal or sparkling rhinestone logo-wear and apparel for the holidays (or any time of year) that will have ANY employee feeling jolly! Guys — Sparkle Plenty can create rhineSTUD apparel for you, too. For a free price quote, please visit Sparkle Plenty Designs or simply send your artwork (jpeg or pdf) via email to: info(at)sparkle-plenty(dot)com. This entry was posted in ASI, ASI/88442, crystal tees, Crystallized, custom logo shirts, custom salon tees, custom spa shirts, holiday sparkle, hotfix transfers, rhinestone tees, spa logo wear, sparkle plenty designs, sparkly rhinestone shirts, staff apparel, staff shirts, Stitches Magazine, Uncategorized. Bookmark the permalink.